New Zealand is known for its globally recognised, high-quality education. It is also a safe and welcoming country for all international students, making it an ideal place to study. 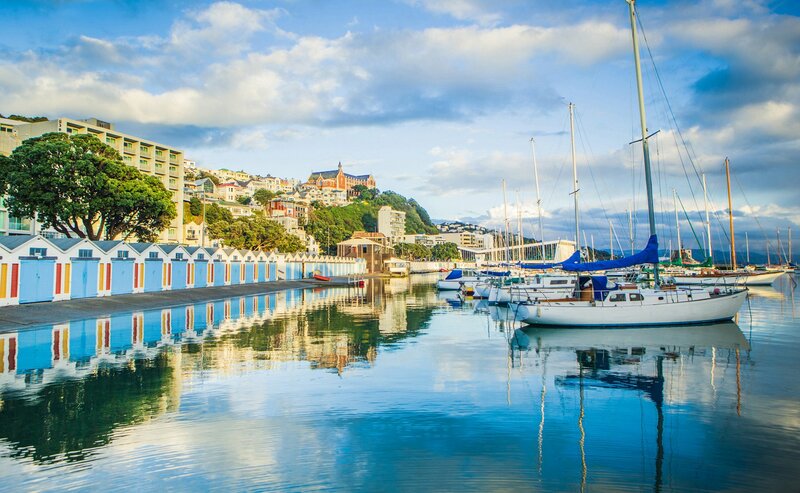 For the second year running, Wellington has topped Deutsche Bank’s list of 50 cities with the best quality of life, making it the most livable city in the world. Wellington was ranked as the least polluted, the fourth best for property to income ratio and commuting, and fifth best for its climate – earning it the top spot overall. Wellington is ranked as the 16th best city in the world for safety by the Economist 2017 Safe Cities Index. Wellington also ranks 2nd in the world for personal security. New Zealand has the best education system in the world according to the Legatum Prosperity Index Institute. This index is based on household income, economic growth and quality of life. Le Cordon Bleu is situated right in the heart of the city, while other tertiary providers and schools are an easy 15-30 minute walk away. Traveling around Wellington is very efficient, due to its well-structured public transportation system. Which is why Wellington has the highest public transport use per capita in New Zealand! Wellington enjoys over 2100 sunshine hours per year so you can take advantage of the stunning regional parks and 497km of coastline near you. Have breakfast in one of our city's amazing cafes, shop on Lambton Quay or Cuba St, kayak in the harbour, hike in the bush or go for a dip in the ocean. We are the home of New Zealand film, as well as to one of the most significant post-production houses in the world – Park Road Post Production. The Hobbit, Avatar, Lord of the Rings, King Kong, The Hunger Games: Catching Fire, Man of Steel, X-Men: Last Stand, The Wolverine, The Avengers, Iron Man 3, District 9, Prometheus, Tin Tin plus many more were filmed in Wellington or had visual effects created here. One in four people from all over the world choose to live in Wellington, making it a diverse and exciting place to be. 25% of people that call Wellington ‘home’ were born in another country. We are a melting pot of different cultures. Eat, play, love - We love food! Wellington reputably has more restaurants, cafes and bars per capita than New York City. Missing food from your home country? Don’t panic as we will most likely have it. Want to try something else? We will have that too! If you really like food, Visa Wellington on a Plate, the premier food event in Wellington and New Zealand brings together over 100 food events in August each year. Check out the New Zealand Festival, The World of Wearable Arts Show, the International Film Festival, Homegrown, Toast Martinborough and The Summer City Festival Wellington just to name a few of the yearly events that make Wellington an exciting place to live. The breathtaking landscapes and relaxed lifestyle may make you want to stay…forever. If you complete our level 4 and level 5 qualification in New Zealand, you will be eligible for a 12 month Post Study Work Visa. For more details about your work rights during or after your studies, please refer to the New Zealand Immigration website. We love Wellington and we know you will too. For more information about the visa application process and how to apply to study at Le Cordon Bleu New Zealand, contact us now.